☆ Fawntastic Creations ☆: We Go Together Like. . . 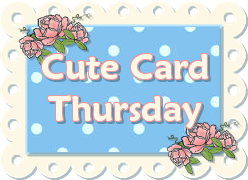 I love how this card turned out!!!! I used Lawn Fawn stiched rectangle dies for my base panels. I stamped the images out from Sweet Stamp Shop stamp set Taco Bout It and used my silhouette to cut them out. I colored the images with copic markers. 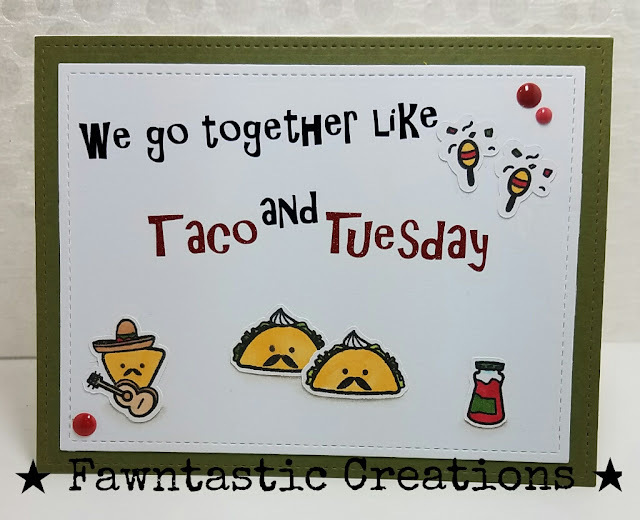 I also used my silhouette to cut out the sentiment in vinyl, I used red glitter vinyl for the Taco and Tuesday. I then added the images to the base. I know I could have just stamped right on the base, but i like to layer things! I added a few red enamel dots to finsih the card off.